On June 1, the Office of Human Resources hosted an Ice Cream Social for faculty, staff and employed students to provide an opportunity for employees to mingle and celebrate the end of spring semester. 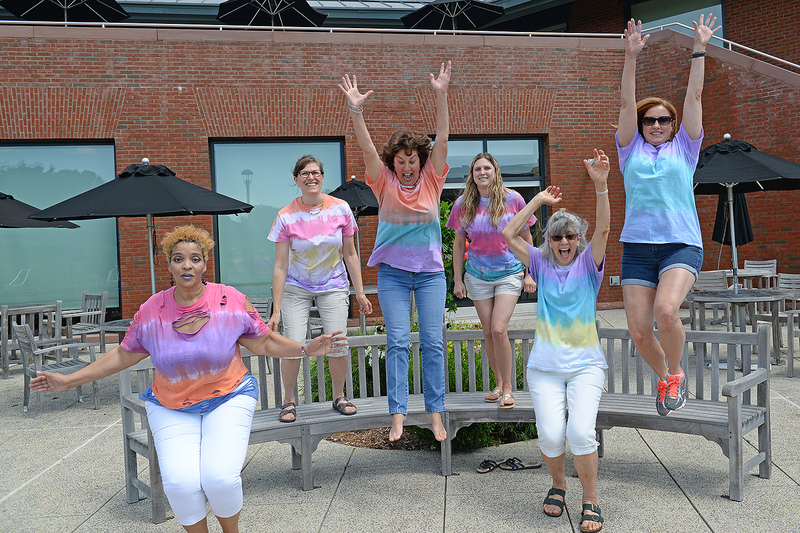 As part of the day’s activities, employees were invited to create a tie-dye t-shirt. 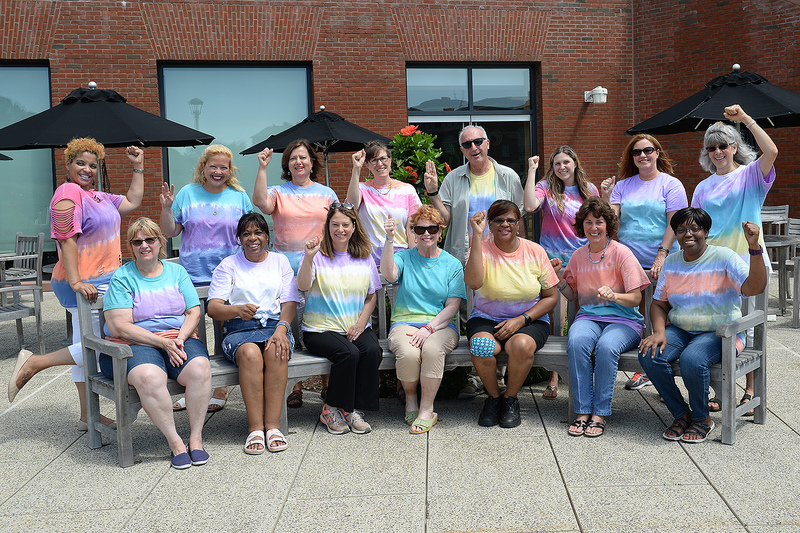 On Aug. 10, Human Resources invited the tie-dye shirt makers to gather at Usdan’s Huss Courtyard for a brief meeting and photo opportunity.